The single most important factor affecting the quality of any artistic or commercial photos is lighting. Unfortunately, the world conspires against photographers: point light sources, such as lightbulbs or on-camera flashes, tend to produce harsh and unflattering shadows and undesirable falloff patterns. To add insult to injury, professional lighting equipment that produces diffuse light with good color reproduction tends to be bulky, obscenely expensive, or both. This page outlines a simple alternative: a compact and portable device that fits inside a drawer when not in use, offers remarkable flexibility, can be built without any exotic tools or skills, and costs around $100. And for once, it does not involve CNC machining! 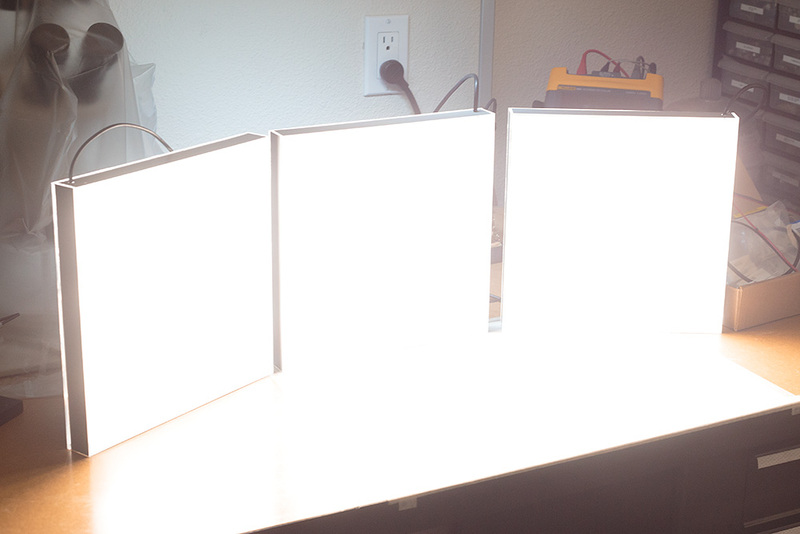 These sheets of plastic need to be populated with several banks of neutral white light-emitting diodes (color reproduction index of around 85). 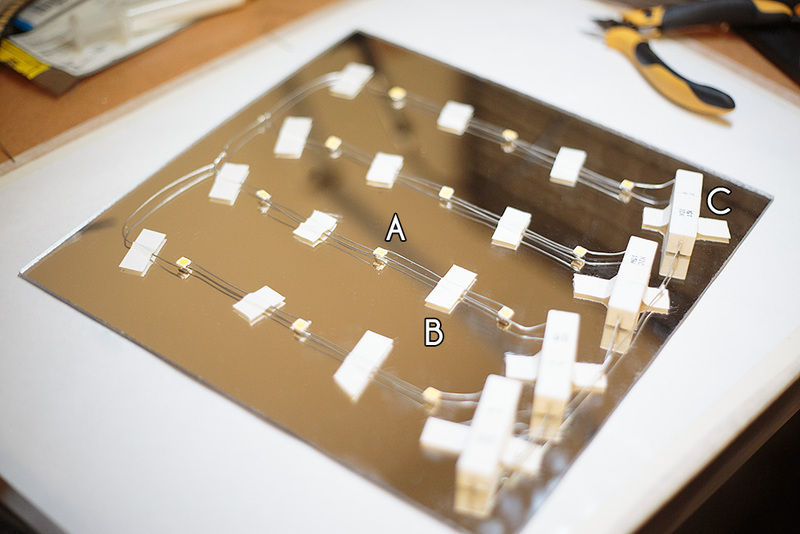 Each bank (A) consists of three LEDs connected in series. 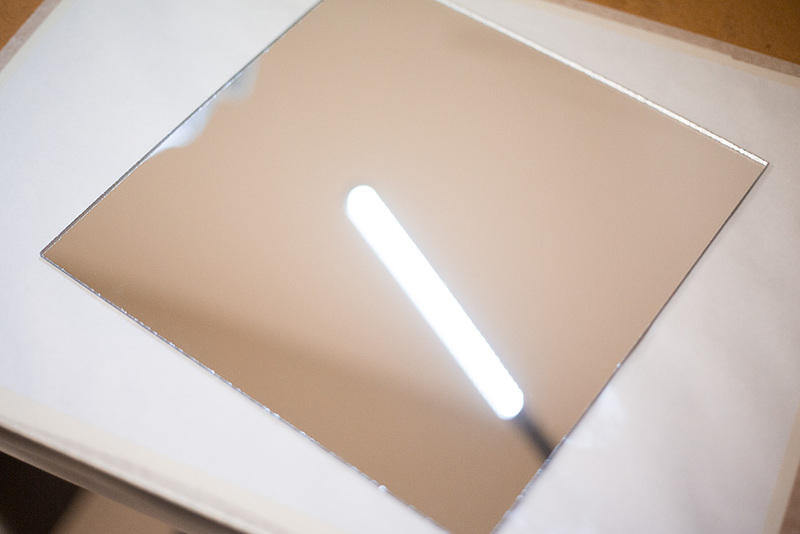 For more uniform lighting and lower price, it's possible to go with eight banks of Osram LCWJDSHFQFS5L7N1; for less soldering work, four banks of Cree MX6AWT-A1-0000-000CE5 will offer comparable luminosity. 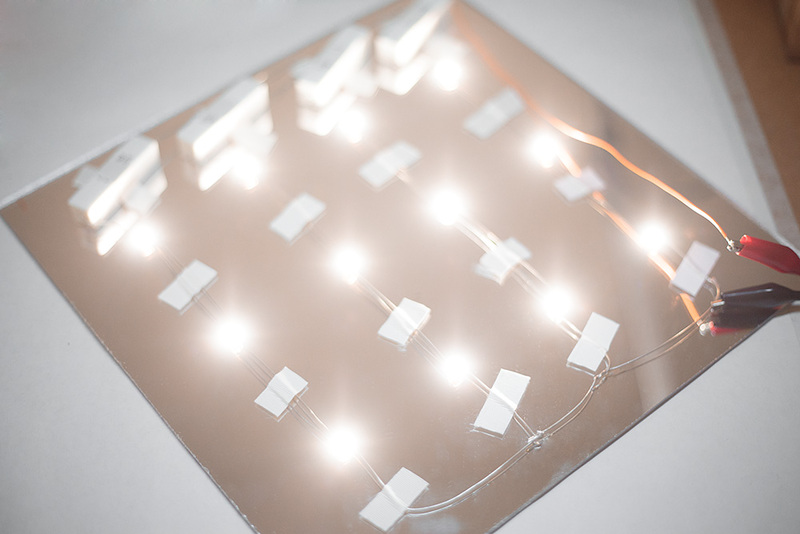 Within each bank, LEDs are connected together with thick 20 AWG copper wire that doubles as a heat-sink. 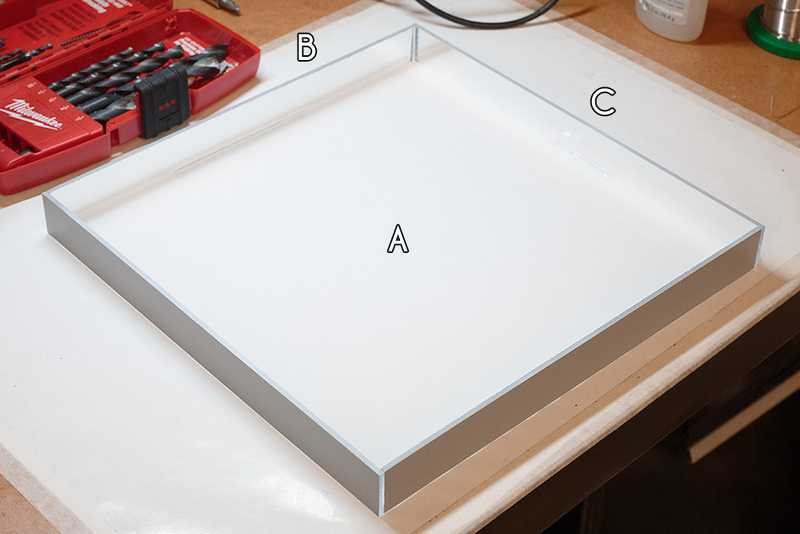 The banks are attached to the sheet of acrylic with temperature-resistant tape (B). When using 150 mA Osram LEDs, the banks are then connected in parallel pairs, and each pair is terminated with a 6.8 &ohm; wirewound resistor, rated for at least 5 watt (C). For 300 mA Cree LEDs, each bank should have a separate 6.8 &ohm; resistor. Red: 12 x Vishay VLMR51Y1Z1-GS08. 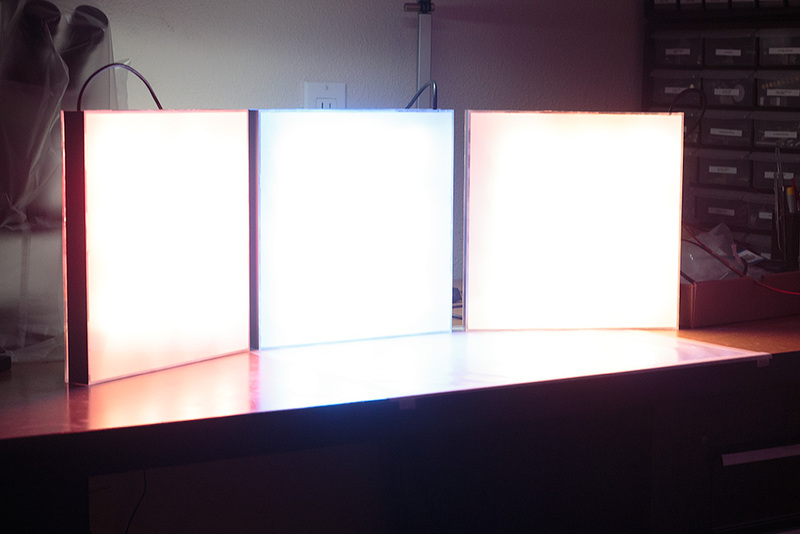 Each bank consists of four LEDs and a ~20 &ohm; resistor. Yellow: 12 x Vishay VLMR51Y1Z1-GS08. Four LEDs per bank, ~20 &ohm; resistor. 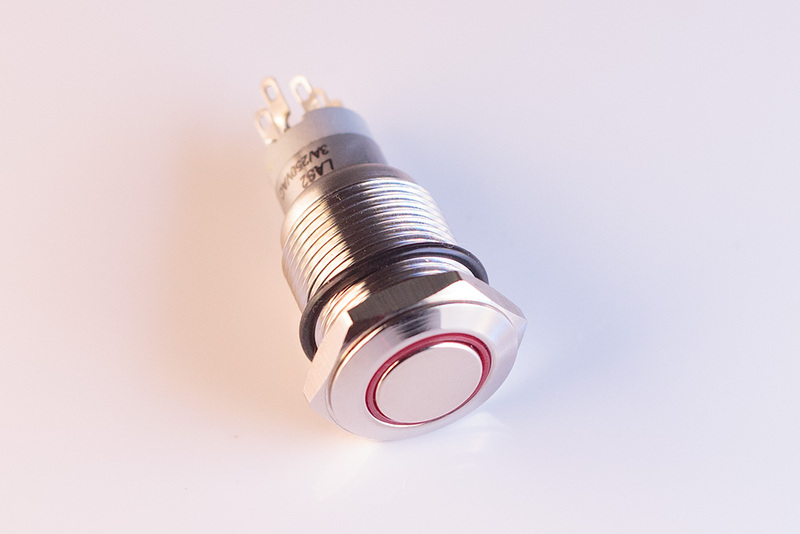 Blue: 9 x Cree MLEBLU-A1-0000-000T01. Three LEDs per bank, ~15 &ohm; resistor. 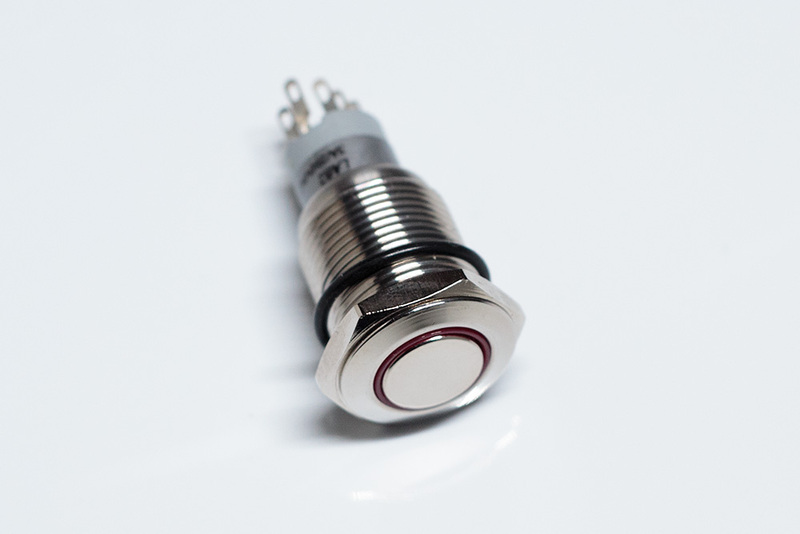 Green: 9 x Cree MLEGRN-A1-0000-000X01. Three LEDs per bank, ~15 &ohm; resistor. Of course, the panels can be moved around or even stacked arbitrarily, so the possibilities are much greater than that. Questions? Comments? Ping me at lcamtuf@coredump.cx.